Instagram, Facebook and Twitter are just a few of the many social media platforms that can boast billions of users worldwide. We use these sites to share snippets from our daily lives with followers; some of whom we know, others who we’ve never met in ‘real’ life. Most of us consider these sites to be a bit of harmless fun, a window into the lives of others that, while interesting, isn’t a true reflection of reality. But a case is now building that points to social media’s adverse effect on the mental health of its vast population, with some psychologists suggesting that many sites could be addictive, dangerous or damaging. An obvious problem with social media is the way in which some sights might erode self-esteem, leading to depression and feelings of inadequacy. Many of us use social media as a tool to peer into the window of celebrity lives, following those we’d love to emulate. To some extent, we understand that there is a degree of separation between their experiences and ours – after all, celebrities make daily use of a team of professional stylists, makeup artists, private chefs, personal trainers and professional photographers in order to appear effortlessly perfect! While it’s true that images pulled from a celebrity Instagram account bear little resemblance to those reflecting the life of an average human being and should be treated as pure fantasy and harmless escapism, teens and young people may struggle to fully comprehend or accept this fact and find themselves lacking in many ways. Adults are affected by these issues too. Through social media, we see the best of people’s lives. We all create content around the great things our kids have said and done, prou8dly posting images of cute Halloween costumes or sports trophies. But how many of us stop to share a picture when we’re stressed out on the school run, stuck in traffic and tearing out our hair? Or when our kids are running riot in a grocery store, making us think we’re the worst parent on earth? Social media is a platform where we display achievement and good fortune, not failure and bad luck. One of the ways in which we derive our sense of worth is in comparison to other people. When we see evidence that friends or acquaintances are richer than us, have cuter kids, better jobs or more loving spouses, we feel inferior and that hurts. It can also lead to clinical depression, self-harm or even (in extreme cases) suicide. Social media may also cause us to feel left out; perhaps viewing images of a party we weren’t invited to or a friend enjoying a holiday somewhere we could never afford to visit. We’ve all hit unfollow because we can’t bare another smug comment or image of perfection from a particular social media friend – but the images stay with us long after we press delete. It should be kept in mind that social media sites allow users to post contrived images, snapshots that are often set up and not truly reflective of real life. These pictures only reflect a moment in time which, while it looks perfect, is probably both preceded and followed by more negative events. Through the filtered lens of social media, we don’t see the bigger picture. Trend-makers, celebrities and social media addicts will go to extreme lengths to create perfect images as these often allow them to pocket large amounts of cash. These pictures are often designed to sell a product or service and, like all advertising, show us a fantasy world we can buy into if we splash our cash. In recent years, many more of us have reported finding social media stressful rather than relaxing, addictive rather than entertaining and annoying rather than amusing. We’ve all heard friends and family declare that they’re on a social media break, a cleanse which allows them to refocus without the constant barrage of content these sites generate. While some enjoy this time out, many report finding it hard to give up our constant checking of Facebook or Instagram. We feel that we’ve dropped out of the loop, missing out on what’s happening in the social media sphere. Social media is also having an impact on our sleep. Before the advent of electricity, human beings used to spend their evenings and nights in total darkness. Now, we’re constantly surrounded by sources of artificial light. Scientists have confirmed that this can inhibit production of a hormone called melatonin, which aids deep, restful sleep. In particular, smartphones, laptops and tablets emit blue light, which is extremely detrimental to human sleep. 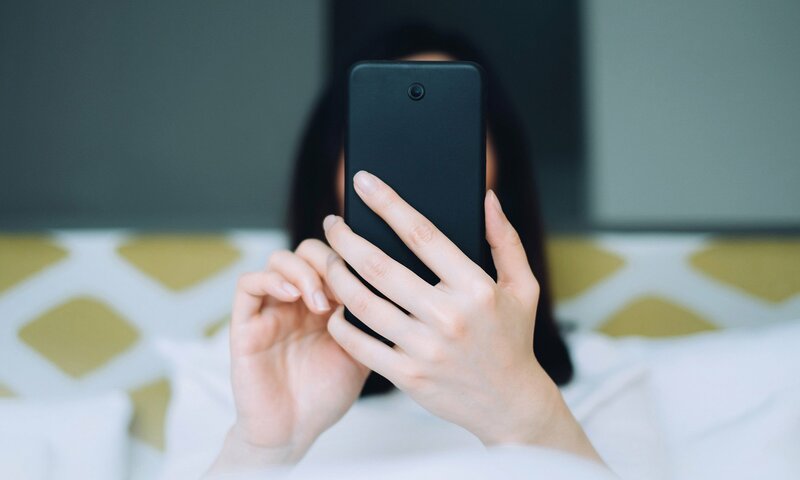 If you’re still checking Twitter at bed time (and most of us are) it’s likely that your sleep patterns have become severely disrupted, with the longer you spend engaged in this activity making the problem increasingly severe. Could social media be addictive? There is a large amount of anecdotal evidence to suggest that many of us are now unable to last a day or even an hour without checking our favourite sites. As social media is updated constantly, we don’t want to miss out on the ever-changing content that most interests us – whether this is new items being added to selling groups, celebrities posting their most recent movements or the update of news and current affairs. In fact, a large number of us worry that we check social media sites obsessively. The conundrum is that our mental health would be affected both if we stop visiting these sites or if we continue. Those of us with poor social skills and existing problems with low self-esteem often find it easier to interact with other people via social media, feeling less pressured as we can hide behind an avatar instead of truly being our authentic selves. The social media experience is impersonal and allows us to delete and disappear if a situation become too stressful. As a consequence, we may find ourselves spending more time in this virtual reality world than we do in our own lives. Many of us also confess to keeping an eye on the activities of exes, frenemies or romantic prospects via social media. This ranges from the occasional profile view to obsessive, stalker like behaviour and even criminal harassment (which may result in litigation.) Most social media sites do have facilities built in which allow us to report any activity we find worrying, but it often takes time for sites to act on our concerns, causing us further distress. Possibly the most worrying aspect of social media is cyber bullying. This can take place via text, email or chat apps along with all social media sites. Social media is a channel which bullies find appealing, as they are able to hide behind (sometimes fake) profiles or gang up with other users to threaten, intimidate and ridicule an individual, either spreading gossip, harassing or ghosting (ignoring or blocking someone to cause distress.) There have been multiple reports of teens missing school, self-harming or even attempting suicide due to cyber bullying. 20% of children claim they have experienced cyber bulling in some form, whilst a terrifying 3% have attempted suicide as a result of this. It’s not just kids who are affected, with cyber bullying at work now the most reported complaint received by HR departments. The anonymity that cyber bulling allows often makes it a more damaging crime than bulling in the real world as it can be impossible to pinpoint your attacker or show any physical proof of injury. In 2018, it’s a worrying fact that many of us don’t feel as connected to the real world as we do the virtual world provided by social media. While it’s true that many sites off the chance to indulge in harmless fantasy and escapism, there are a building number of serious issues that social media providers are yet to fully address. What does it mean to be healthy in a world that runs on social media?